NEWPORT BEACH, Calif. – April 2, 2019 – Accelerize (OTCQB: ACLZ) (OTCBB: ACLZ) and its digital marketing software division CAKE today announced E-File.com, the leading provider of low-cost online income tax preparation software, leverages CAKE’s SaaS solution to manage and optimize its successful affiliate marketing program. Since 2014, E-file.com has used the CAKE platform to easily and accurately identify top performing networks, combat fraudulent traffic, test pixels and integrations, plus more. The insights gained through CAKE’s centralized dashboard delivers actionable insights that increases the growing organization’s return on adspend (ROAS). 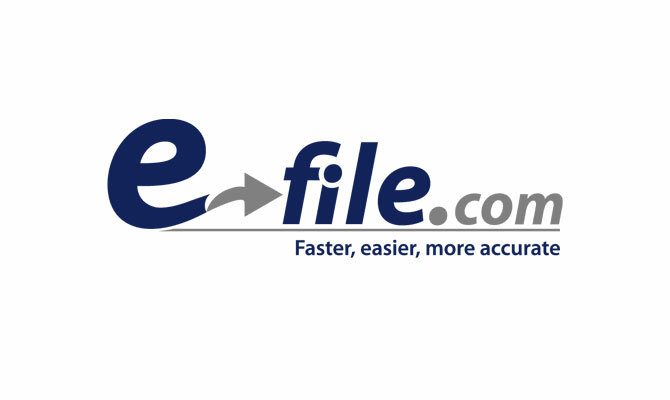 E-file.com, provides authorized IRS e-filing software, enabling users to securely and quickly prepare and transmit income tax forms electronically. Prior to using CAKE, E-file.com managed its affiliate marketing program through Google Analytics and other tools. With CAKE, the company has streamlined and automated its affiliate marketing process, plus simplified the monthly reconciliation process with networks and publishers. Affiliate marketing budgets continue to increase. Inc. Magazine predicts that by 2020 U.S. spend on affiliate marketing will to rise to $6.8 billion. This growth parallels the continued growth in online tax filing. According to the IRS, about 90 percent of individual taxpayers filed electronically in 2018. Therefore, it’s no surprise these two trends are converging with affiliate marketing rising in popularity with online filing companies. With its performance-based structure and cost-effectiveness, affiliate marketing has become an important strategy for online tax filing companies to generate revenue. This press release may contain forward-looking statements from Accelerize Inc. within the meaning of the “safe harbor” provisions of the Private Securities Litigation Reform Act of 1995 and federal securities laws. For example, when Accelerize describes the benefit and impact of CAKE’s SaaS solution, the growth of affiliate marketing spend and online tax filings and uses other statements containing the words “believes,” “anticipates,” “plans,” “expects,” “will” and similar expressions, Accelerize is using forward-looking statements. These forward-looking statements are based on the current expectations of the management of Accelerize only, and are subject to a number of factors and uncertainties that could cause actual results to differ materially from those described in the forward-looking statements. The following factors, among others, could cause actual results to differ materially from those described in the forward-looking statements: changes in technology and market requirements; our technology may not be validated as we progress further; we may be unable to retain or attract key employees whose knowledge is essential to the development of our products and services; unforeseen market and technological difficulties may develop with our products and services; inability to timely develop and introduce new technologies, products and applications; or, loss of market share and pressure on pricing resulting from competition, which could cause the actual results or performance of Accelerize to differ materially from those contemplated in such forward-looking statements. Except as otherwise required by law, Accelerize undertakes no obligation to publicly release any revisions to these forward-looking statements to reflect events or circumstances after the date hereof or to reflect the occurrence of unanticipated events. For a more detailed description of the risk and uncertainties affecting Accelerize, reference is made to Accelerize’s reports filed from time to time with the Securities and Exchange Commission.